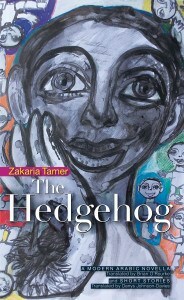 ‘City of Ashes’ is from Tamer’s book The Hedgehog, translated by Denys Johnson-Davies (AUC Press, 2009). The upcoming reading is part of a new literary series, “Anthology,” produced by WFIU, a radio station located in the American college town Bloomington, in Indiana. “We feature short stories, poetry, serialized novellas, memoir, and other genres from writers who have distinctive perspectives, including literature in translation,” explains WFIU producer Cynthia Wolfe.